The El Paso County Board of Health has unanimously appointed Susan Wheelan as the director of El Paso County Public Health. She replaces former director Dan Martindale, who retired from the position at the end of August after 23 years of service. Wheelan has served as interim director since September 2018, and has been the agency’s deputy director since January 2015, overseeing the Disease Prevention and Health Promotion division, which includes the following programs: Communicable Disease and Tuberculosis, Tobacco Education and Prevention Partnership, Youth Substance Use Prevention, Teen Suicide Prevention, and Maternal and Child Health. Former Board of Health president Kari Kilroy said Wheelan was selected after a rigorous national search, and is the clear top candidate for the selection committee. “You will be a great, excellent leader moving forward and we have great confidence in you,” Kilroy said at the December board meeting announcing the appointment decision. “Susan has a demonstrated history of experience and passion for public health, and the leadership necessary to continue to build important partnerships in the community that will advance local public health,” said Board of Health President Dr. James Terbush. Wheelan has more than 20 years of broad public health experience. She began her employment with El Paso County Public Health over 18 years ago as an Environmental Health Specialist. She subsequently served as the agency’s communication director and public information officer, administrative hearing officer, and program manager of the Tobacco Education and Prevention Partnership. She established the agency’s Office of Communication, and secured funding to implement Public Health’s youth suicide and youth substance use prevention efforts, focused on population health strategies involving building strong community partnerships. She also has led the agency’s quality improvement activities to improve effectiveness and efficiency across various services and programs. Over the years, Wheelan has served in numerous leadership roles in emergency response and preparedness, including Incident Command System training exercises and designated responsibilities during the Waldo Canyon and Black Forest wildfires, H1N1 Influenza Pandemic, measles, emerging diseases (West Nile Virus, Ebola, SARs) and, most recently, oversight of the agency’s Hepatitis A prevention efforts in El Paso County. “The goals for the agency over the next several years are to build infrastructure, increasing our workforce and resources to meet the needs of El Paso County’s growing population and residents,” Wheelan said. “We will also partner more closely with community, county, and city organizations to maximize those resources, strengthening Public Health’s capacity to respond to emerging issues and threats,” Wheelan said. Among the initiatives planned is the development of more robust surveillance data and technology capacity to enhance and lead strategic agency and community efforts, with innovative approaches aimed at being proactive and to further community health improvement goals. “Being science driven, using epidemiology and evidence, is fundamental to advancing public health work. Having timely, reliable, credible data available at the local level is crucial to direct resources effectively for our community and allows us to be both responsive and proactive in meeting community health and wellness needs of El Paso County residents,” Wheelan said. Wheelan has served on several boards including Kidpower, the YMCA of the Pikes Peak Region, and the Colorado Springs chapter of the National Association of Mental Illness (NAMI). 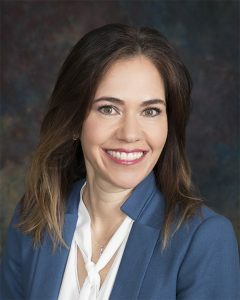 She is also a member of various committees including the Colorado Association of Local Public Health Officials (CALPHO) Legislative Committee, the Governor’s Retail Marijuana Education Oversight Committee, and the Colorado Tobacco Review Committee.